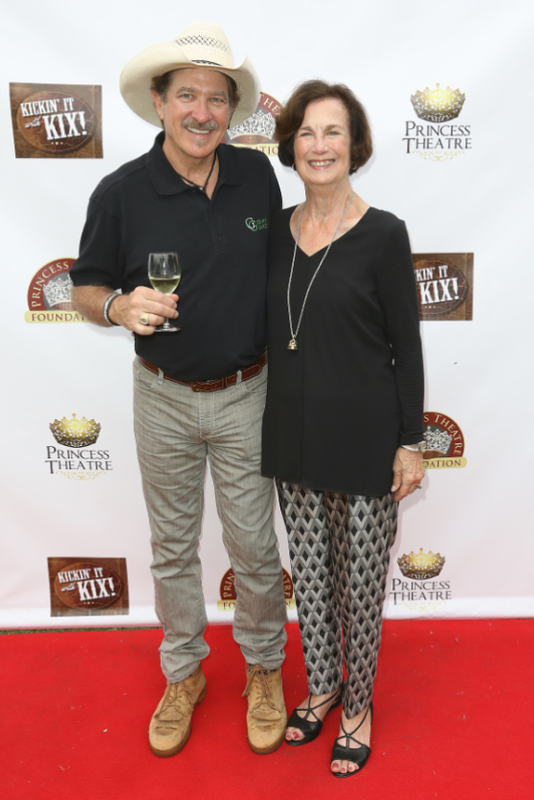 Superstar Kix Brooks hosted a sold-out, two-day fundraiser Sept. 28-29 that raised $140,000 to secure the future survival and cultural mission of the Princess Theatre in Winnsboro, LA. Brooks, who grew up in the region, headlined the “Kickin’ It With Kix” benefit in Franklin Parish as a thank you to donors, who stepped up with donations to keep the Princess Theatre vibrant and poised to provide entertainment, education, and access to the arts in the rural community for years to come. The Princess Theatre was established in 1925. Two years later, the theatre moved to the location on Prairie Street where it stands today in a building that was constructed in 1907. Silent movies were shown on the screen while live piano music brought the films to life. In 1930, sound tracks were added to films and a sound system was installed. Right before World War II, in the early 1940's, the building was expanded to meet demand. In 1960, the theatre changed hands, but the opening of a mall with a 10-screen multiplex forced the theatre to close in 1985. In 1992, the Princess Theatre building was given to the city of Winnsboro. A board of directors was appointed to take care of the building and a year later, the Princess Foundation Board announced a much-needed renovation. The ongoing efforts have been supported and recognized by the Arts Council of Northeast Louisiana, the Louisiana Office of Cultural Development (Division of the Arts), and Art Works National Endowment for the Arts. For information, visit the Princess Theatre website, www.princesstheatreinc.com. Kix Brooks performs to raise money for the Princess Theatre in Winnsboro, LA. Kix Brooks and Jimmy Stewart entertain the sold-out audience at the Princess Theatre. Kix Brooks and Eleanor Hatfield, President of the Princess Theatre Foundation.